В данном файле вы можете найди схему базы данных CRM-ситемы SugarCRM: перечень используемых таблиц, набор полей в каждой таблице и связи, организованные между таблицами. 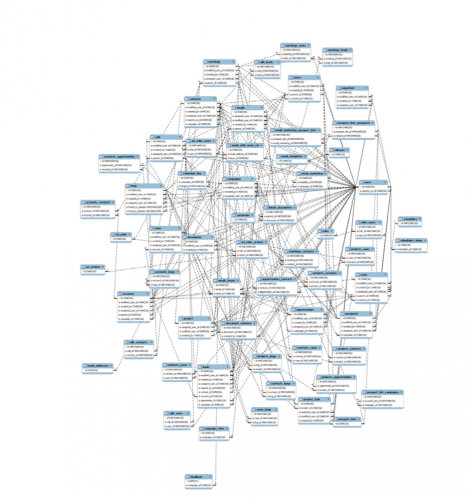 Copyright © 2004-2010 SugarCRM Inc. This work is licensed under the Creative Commons Attribution-Noncommercial-No Derivative Works 3.0 License (“License”). To view a copy of this license, visit http://www.creativecommons.org/licenses/by-nc-nd/3.0/ or send a letter to Creative Commons, 171 Second Street, Suite 300, San Francisco, California, 94105, USA. Your Warranty, Limitations of liability and Indemnity are expressly stated in the Agreement. Please refer to the Agreement for the specific language governing these rights and limitations under the Agreement Your Warranty, Limitations of liability and Indemnity are expressly stated in the License. Please refer to the License for the specific language governing these rights and limitations. 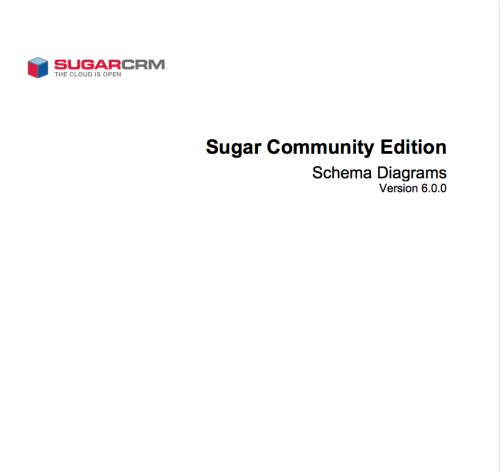 All SugarCRM logos in this document are registered trademarks of SugarCRM Inc. See the SugarCRM trademark policies at http://www.sugarcrm.com/crm/open-source/trademark-information.html for more information on how SugarCRM trademarks can be used.